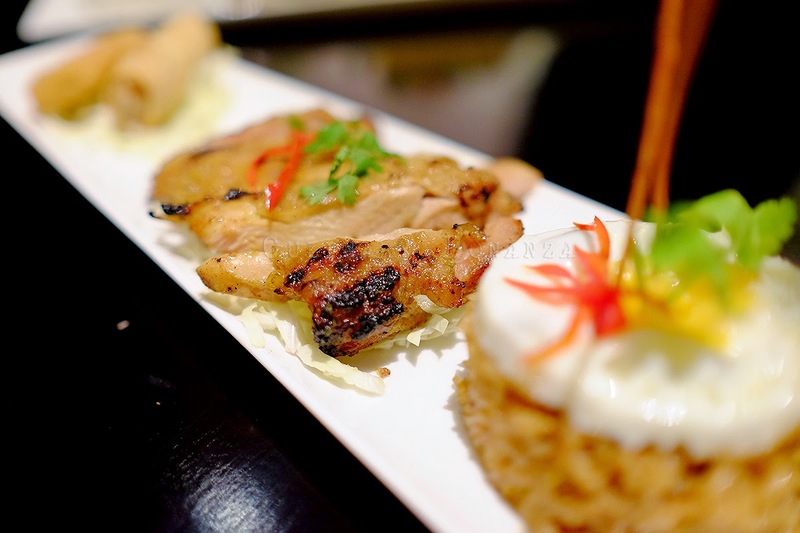 Can Thai food ever go wrong? Never, especially a super affordable, complete and satisfying lunch sets mean that only cost IDR 65,000++. 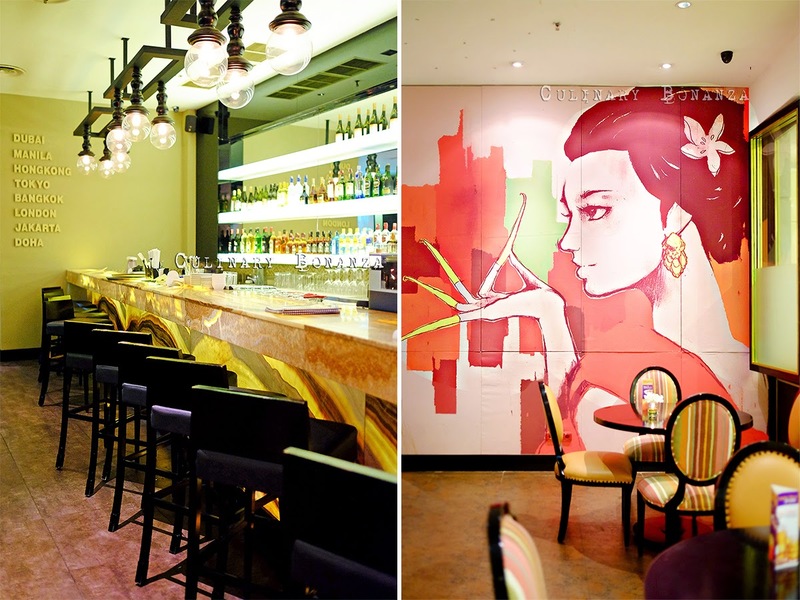 There are so many Thai restaurants in Jakarta, but what makes Mango Tree different then? 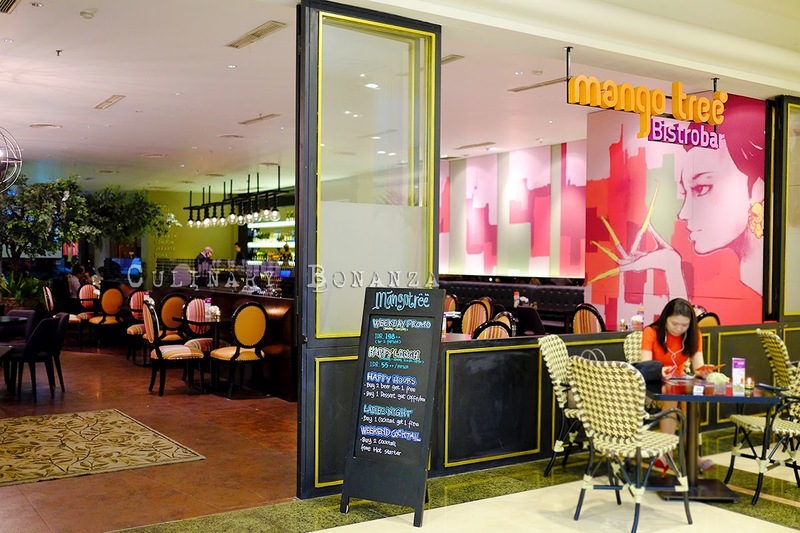 Apart from being a restaurant, Mango Tree Bistrobar Jakarta positions itself as a casual hangout place, as well as an after work place to unwind (Senayan and Kuningan are concentrated business areas after all). 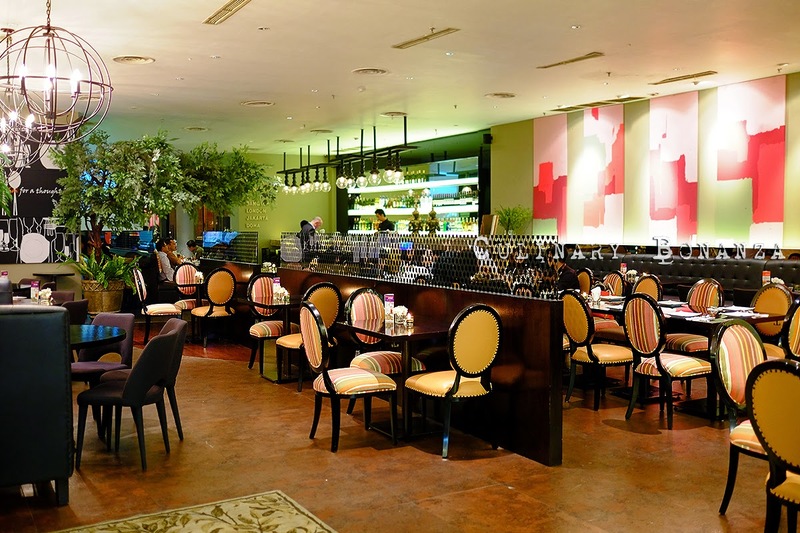 To tap into such markets, Mango Tree BistroBar Indonesia offers Thai High Tea (IDR 148k++ inclusive 2 cups of tea or coffee) Weekend Cocktail, Ladies Night and Happy Hour promotions. Special in October, there's an ongoing Halloween-themed set meal “The Haunted Garden” set for only IDR 63k++ (26 October - 5 November). 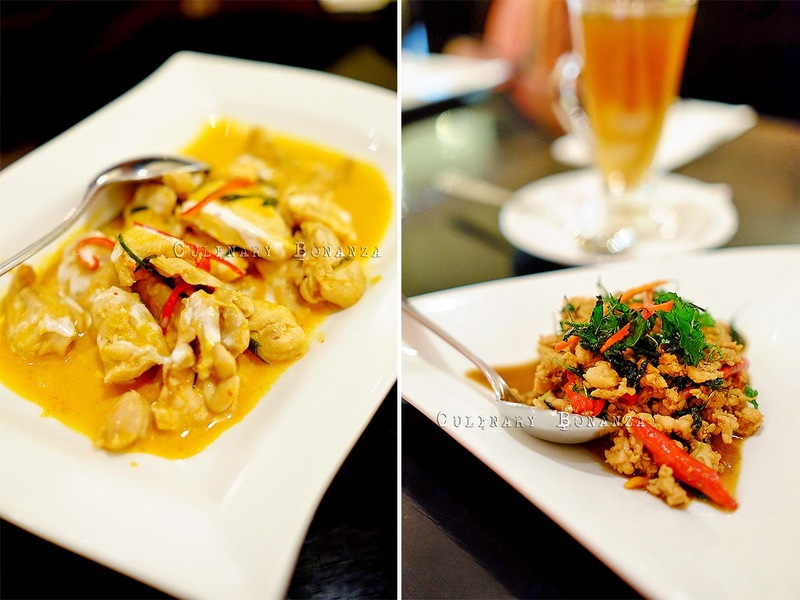 The menu (food & drinks) are extensive, let me warn you, there's pretty much every type of Thai dishes that we are familiar with, but there's also a rather interesting twist: Thai Twist Pasta, for example Spaghetti with Green Curry Chicken. 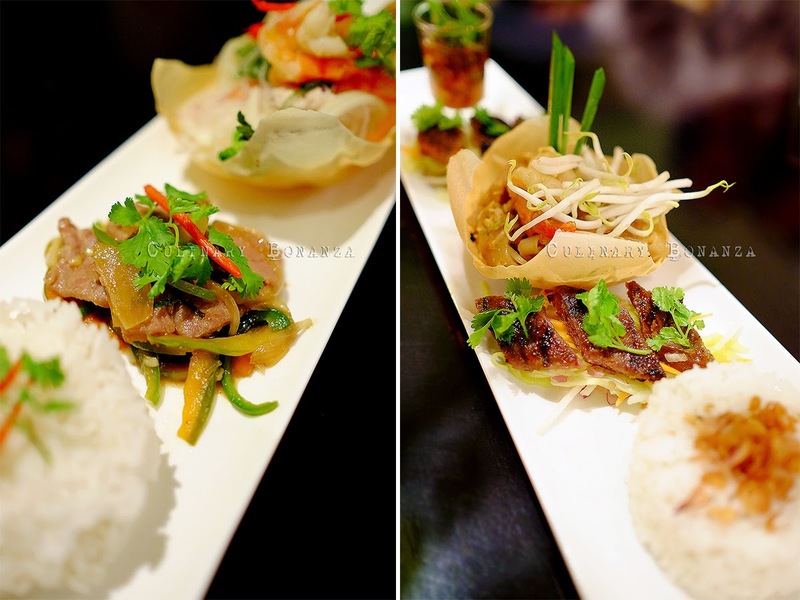 The myriad of choices can be overwhelming sometimes, but if you are confused, you can easily pick the lunch set menu. 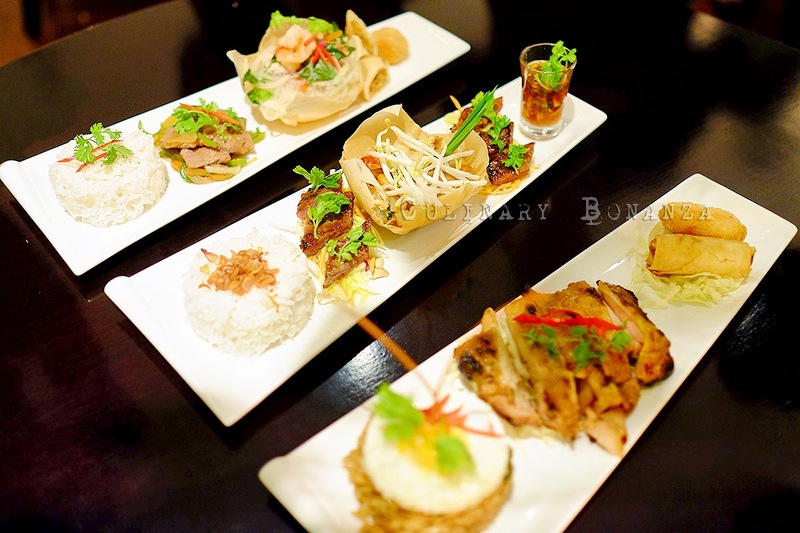 It's like having several sampler dishes on a plate, I like the variety given and of course the price is highly affordable for a high end shopping mall standard! 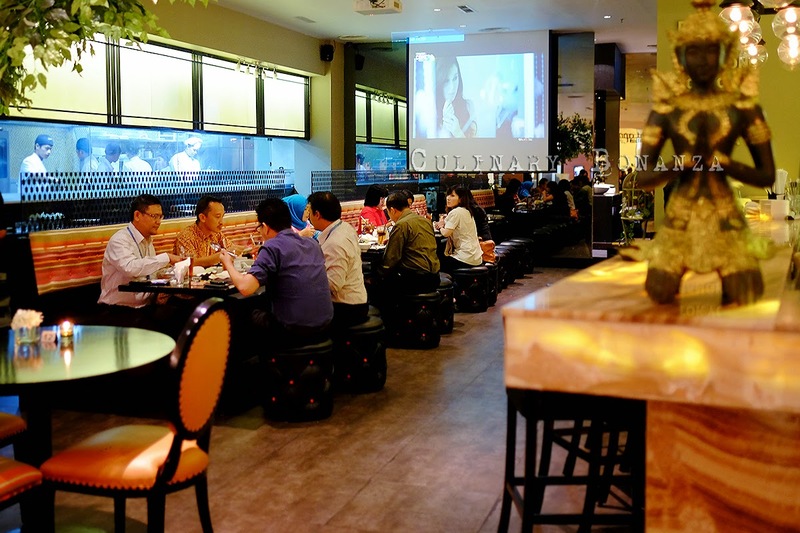 Should you wish to, you can add IDR 25,0000 for a choice of soup: Tom Yum Seafood, Kaeng Som, Clear Soup or Tom Kha Chicken. The lunch set is available daily, from 11 AM - 3 PM. 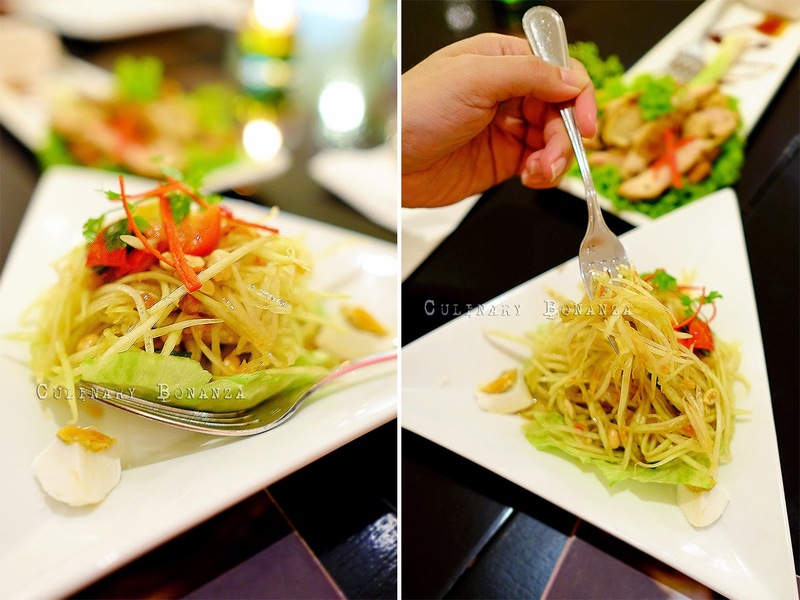 - Green Mango Salad, traditional Green Mango Salad With carrots, yum beans, peanut & shallot. 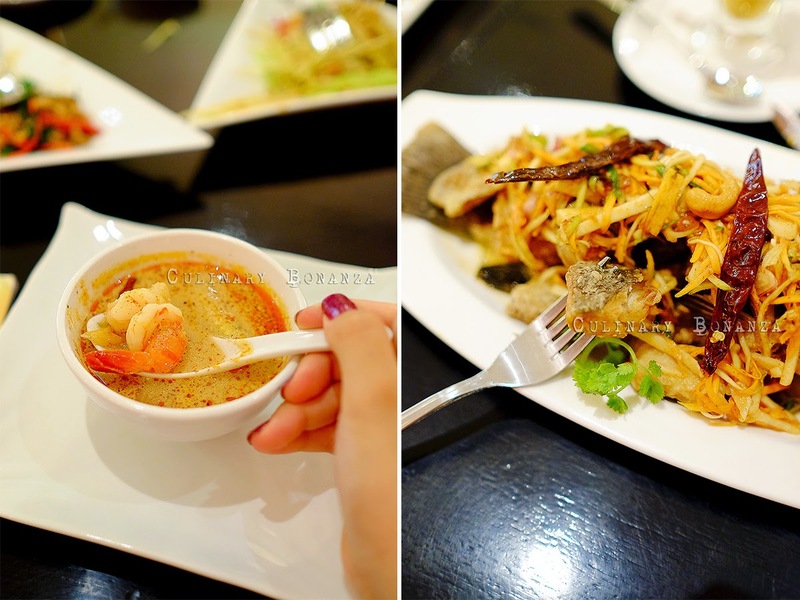 - Tom Yum Seafood, Spicy Sour Soup With Seafood, Mango Tree's tom yum is slightly on the sour side, but it's still tasty, especially with rice. 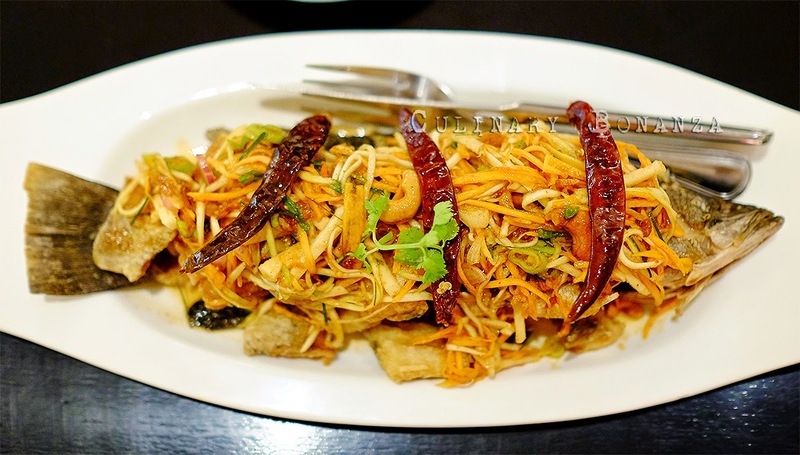 - Deep-Fried Sea Bass with Mango, Tamarind & Cashew Nuts - yummy crispy seabass, topped with tangy shredded green mango and chili, noms! - Gaeng Phed Gai or Red Chicken Curry, served with chayote, sweet basil, red chili and kaffir lime leaves. Love the creamy and umami gravy! - Stir-Fried Beef with Basil Leaves, garlic & chili. Quite salty, best consumed with rice. 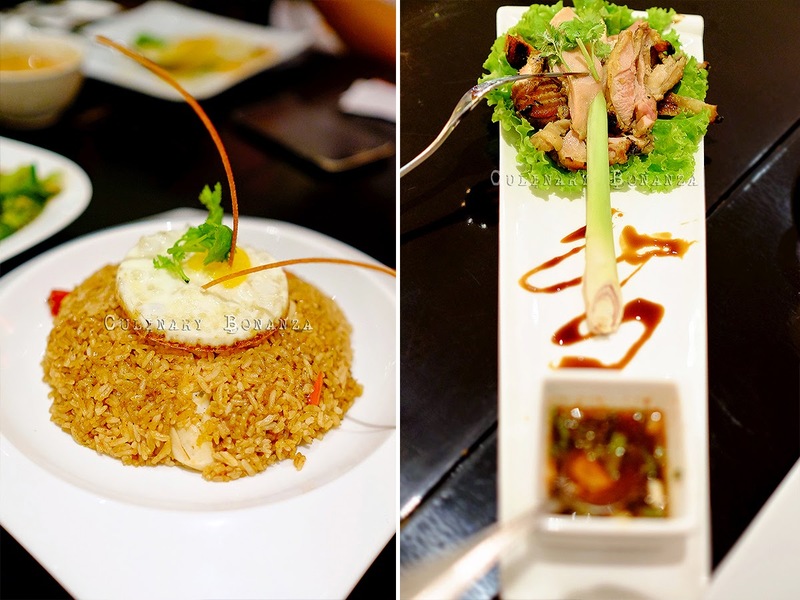 - Tom Yum Seafood Fried Rice with Prawn, the tom yum spices are quite bold, sweet, sour and savoury fried rice, topped with a sunny side up egg, I actually quite liked it. There are some interesting desserts offered on the menu, such as Oreo Cream Cheesecake (in a Thai restaurant? curious right!) 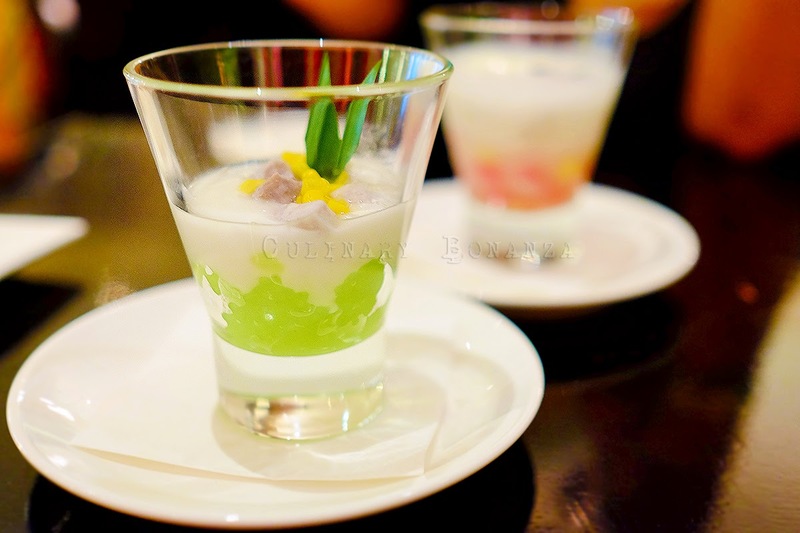 and Durian Pannacotta. 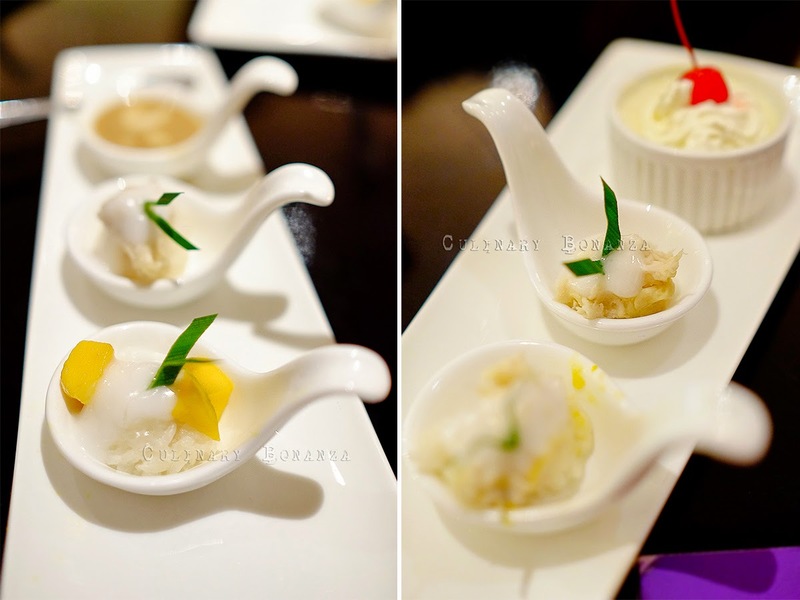 But there are other classic Thai desserts too, for example the cassave with coconut milk, mango sticky rice, durian sticky rice, etc.